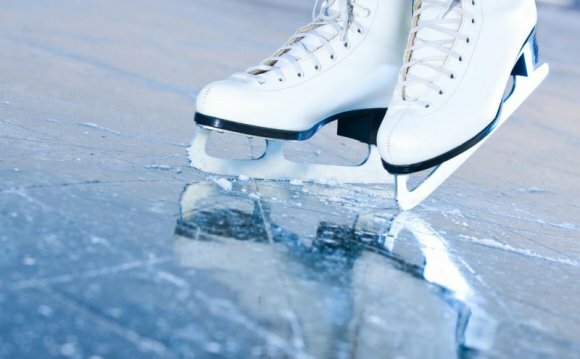 OXFORD, Ohio-Miami University's synchronized skating program announced its competitive schedule for 2015-16, which includes a total of seven regular-season competitions for the teams combined before the U.S. National Championships and boasts two international events for the senior team. The RedHawks' schedule kicks off earlier than usual with the senior team heading to the Anaheim Ice Synchronized Skating Championships Nov. 15 in Anaheim, Calif. All three teams will then be in action at the Dr. Richard Porter Classic Dec. 4-6 in Ann Arbor, Mich.
After a six-week break from competition Miami returns to the ice in earnest, competing in five events over a six-week stretch before the U.S. National Championships. The collegiate and junior teams return to action on January 16 at Synchro Illinois in Oak Lawn, Ill. The following weekend the RedHawk senior team heads to Salzburg, Austria for the first of two regular-season international events as they compete in the Mozart Cup Jan. 22-23. A trip to the Midwestern Championships in Portland, Oregon is on tap for the collegiate and junior teams Jan. 28-30 to round out the month of January. After a weekend off from competition, the junior team returns to the ice at the 2016 Junior World Qualifier in Dearborn, Mich., Feb. 12-13. Miami's senior team makes its second international trip the following weekend as the RedHawks take flight for Milan, Italy and the Spring Cup International Feb. 20-21. It will be a quick turn-around for the senior team as all three teams look to head to the U.S. National Championships in Kalamazoo, Mich. Feb. 25-27. The collegiate team is the 11-time defending national champions, while the senior team seeks a top-two finish to advance to the ISU World Championships for a second straight year. This year's world championships will be held in Budapest, Hungary April 8-9. All three teams also will be performing on various dates throughout the year at intermissions of Miami Hockey games. Due to the senior team's competition at the Spring Cup International, the date for the Nationals Send-off Exhibition is being moved and will be announced at a later time.